LED PinFin Heat Sink ø190mmxh37mm; Design for Spotlight and Downlight 3600~8400lm; Rth 0.8°C/w; Suitable for 30w/35w/40w/50w/55w/60w; Self-taping hole or custom mounting holes for Zhaga book 3 and book 11 LED modules; Standard finish - Black anodized. MINGFA has professional production workshops and great production technology. led heat sink we produce, in line with the national quality inspection standards, has reasonable structure, stable performance, good safety, and high reliability. It is also available in a wide range of types and specifications. Customers' diverse needs can be fully fulfilled.With a focus on product quality, MINGFA selects safe and eco-friendly raw materials and adopts fine process to produce led heat sink. They are safe, practical and well-designed with resistance to corrosion, moisture, oxidation, and high temperature. 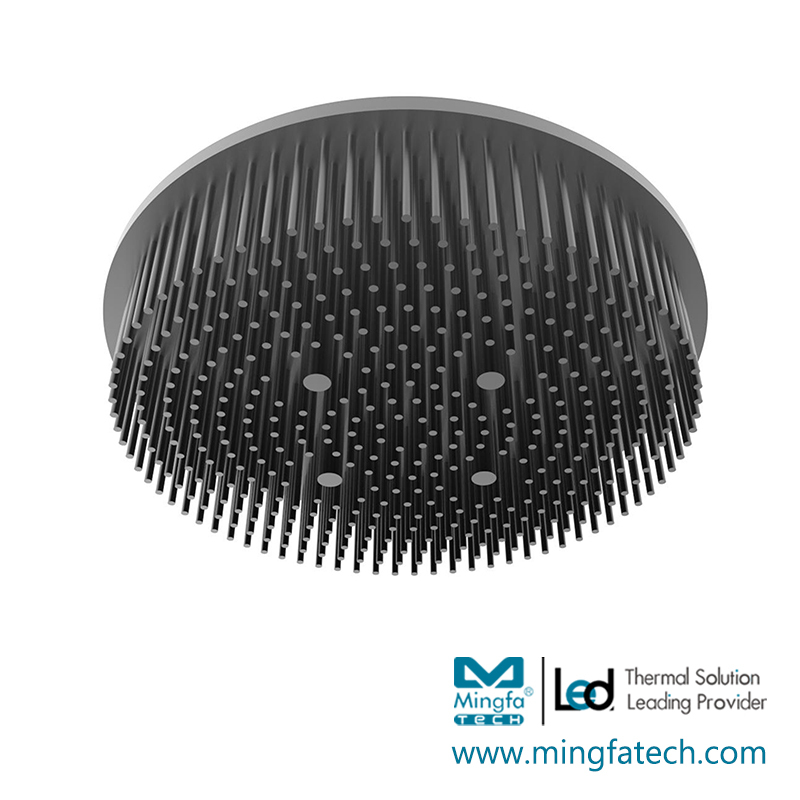 They can be applied in most situations.Compared with products in the same category, MINGFA's led heat sink has the following outstanding features. The led heat sink of MINGFA is applicable in the following scenes.MINGFA has many years of industrial experience and great production capability. 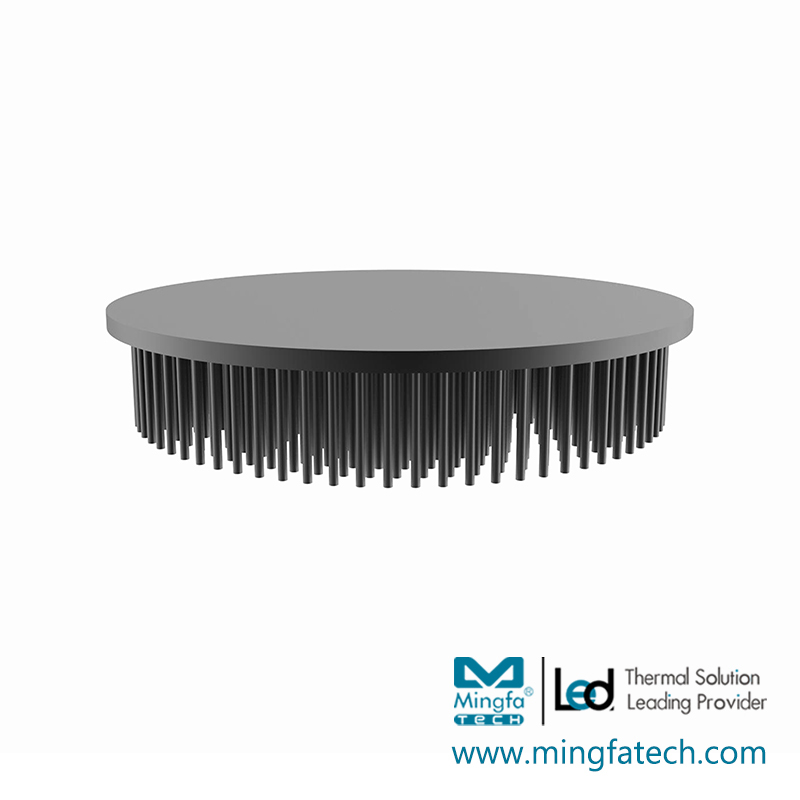 We are able to provide customers with quality and efficient one-stop solutions according to different needs of customers.MINGFA's led heat sink are all manufactured based on professional and fine process. In the design and manufacturing process, we pay great attention to details and think about the application of material for each component and the rationality of structure. We guarantee they are of great safety, reliability, and durability. 1. MingfaTech Manufacturing Limited is a reliable supplier and manufacturer of thermal heat sink. 2. Our heatsink aluminium are not only of led light heat sink but also occupy the best market share. 3. MingfaTech Manufacturing Limited boasts the large service network, covering heat sink online india. Contact us!